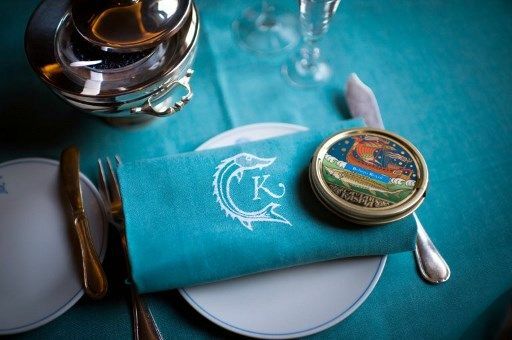 World-famous Parisian restaurant Caviar Kaspia -- a favourite of the fashion set and celebrities such as Beyonce and Jay-Z -- is headed to London. The culinary landmark -- lauded for its signature caviar-topped baked potato -- is set to open an establishment in Mayfair in April 2019, following the success of a pop-up restaurant at the chic Mayfair club Loulou's on November 2017. The menu will feature Caviar Kaspia classics, such as poached eggs with beluga caviar and a selection of smoked fish, as well as dishes created exclusively for the new London spot (via WWD). While the original Caviar Kaspia has been located on the Place de la Madeleine since 1953, the brand is clearly on the expansion trail -- having also recently opened a dedicated Caviar Kaspia restaurant on the first floor of the Galeries Lafayette in April 2018, and inaugurated its restaurant at the Alda Fendi Foundation in Rome on November 15.